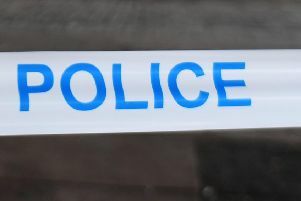 Three men have been charged with alleged fraud after a police operation in Kirkintilloch and Bishopbriggs designed to net bogus workers. The charges for the alleged offences took place after an exercise involing police, East Dunbartonshire Council and trading standards officers. Chief Inspector Gerald Corrigan, East Dunbartonshire’s local area police commander, said: “I hope our work makes it clear that we will be actively protecting vulnerable people and bringing to justice those who prey on them. During the exercise police and trading standards officers carried out joint patrols, carrying out spot checks providing safety information and guidance on what to look out for to help protect themselves. Council neighbourhood depute chief executive Thomas Glen said: “We would encourage local consumers not to deal with any doorstep traders and never offer any personal information to anyone you do not know. “Reputable traders will always provide appropriate contractual documentation, full address details and contact landline phone numbers.